December 2018 – Norfolk Tales, Myths & More! Author norfolktalesmythsPosted on December 22, 2018 Categories 21st Century, Christmas, Church, Georgian, Medieval/Middle Ages, Stories, Tudor, Victorian1 Comment on Christmas: A Modern View! It’s hard to imagine now, but at the beginning of the 19th century Christmas was hardly celebrated. Many businesses did not even consider it a holiday. However by the end of the century it had become the biggest annual celebration and took on the form that we recognise today. For thousands of years people around the world have enjoyed midwinter festivals. With the arrival of Christianity, pagan festivals became mixed with Christmas celebrations. One of the leftovers from these pagan days is the custom of bedecking houses and churches with evergreen plants like mistletoe, holly and ivy. Apparently, as well as their magical connection in protecting us from evil spirits, they also encourage the return of spring. No era in history however, has influenced the way in which we celebrate Christmas, quite as much as the Victorians. Before Victoria‘s reign started in 1837 nobody in Britain had heard of Santa Claus or Christmas Crackers. No Christmas cards were sent and most people did not have holidays from work. The wealth and technologies generated by the industrial revolution of the Victorian era changed the face of Christmas forever. Sentimental do-gooders like Charles Dickens wrote books like “Christmas Carol”, published in 1843, which actually encouraged rich Victorians to redistribute their wealth by giving money and gifts to the poor – Humbug! These radical middle class ideals eventually spread to the not-quite-so-poor as well. From ‘A Christmas Carol’ by Charles Dickens. Photo via Dickens London Tours. The wealth generated by the new factories and industries of the Victorian age allowed middle class families in England and Wales to take time off work and celebrate over two days, Christmas Day and Boxing Day. Boxing Day, December 26th, earned its name as the day servants and working people opened the boxes in which they had collected gifts of money from the “rich folk”. Those new fangled inventions, the railways allowed the country folk who had moved into the towns and cities in search of work to return home for a family Christmas. The Scots have always preferred to postpone the celebrations for a few days to welcome in the New Year, in the style that is Hogmanay. Christmas Day itself did not become a holiday in Scotland until many years after Victoria’s reign and it has only been within the last 20-30 years that this has been extended to include Boxing Day. At the start of Victoria’s reign, children’s toys tended to be handmade and hence expensive, generally restricting availability to those “rich folk” again. With factories however came mass production, which brought with it games, dolls, books and clockwork toys all at a more affordable price. Affordable that is to “middle class” children. In a “poor child’s” Christmas stocking, which first became popular from around 1870, only an apple, orange and a few nuts could be found. Normally associated with the bringer of the above gifts, is Father Christmas or Santa Claus. The two are in fact two entirely separate stories. Father Christmas was originally part of an old English midwinter festival, normally dressed in green, a sign of the returning spring. The stories of St. Nicholas (Sinter Klaas in Holland) came via Dutch settlers to America in the 17th Century. From the 1870’s Sinter Klass became known in Britain as Santa Claus and with him came his unique gift and toy distribution system – reindeer and sleigh. Father Christmas. Photo: via HistoricUK. The “Penny Post” was first introduced in Britain in 1840 by Rowland Hill. The idea was simple, a penny stamp paid for the postage of a letter or card to anywhere in Britain. This simple idea paved the way for the sending of the first Christmas cards. Sir Henry Cole tested the water in 1843 by printing a thousand cards for sale in his art shop in London at one shilling each. The popularity of sending cards was helped along when in 1870 a halfpenny postage rate was introduced as a result of the efficiencies brought about by those new fangled railways. Turkeys had been brought to Britain from America hundreds of years before Victorian times. When Victoria first came to the throne however, both chicken and turkey were too expensive for most people to enjoy. In northern England roast beef was the traditional fayre for Christmas dinner while in London and the south, goose was favourite. Many poor people made do with rabbit. On the other hand, the Christmas Day menu for Queen Victoria and family in 1840 included both beef and of course a royal roast swan or two. By the end of the century most people feasted on turkey for their Christmas dinner. The great journey to London started for the turkey sometime in October. Feet clad in fashionable but hardwearing leather the unsuspecting birds would have set out on the 80-mile hike from the Norfolk farms. Arriving obviously a little tired and on the scrawny side they must have thought London hospitality unbeatable as they feasted and fattened on the last few weeks before Christmas! The Victorian age placed great importance on family, so it follows that Christmas was celebrated at home. For many, the new railway networks made this possible. Those who had left the countryside to seek work in cities could return home for Christmas and spend their precious days off with loved ones. Family life was epitomised by the popular Queen Victoria, her husband Albert and their nine children. One of the most important Christmas traditions, the decorated Christmas tree, was a custom introduced to Britain by Prince Albert. The idea of an indoor Christmas tree originated in Germany, where Albert was born. In 1848 the Illustrated London News published a drawing of the royal family celebrating around a tree bedecked with ornaments. The popularity of decorated Christmas trees grew quickly, and with it came a market for tree ornaments in bright colours and reflective materials that would shimmer and glitter in the candlelight. Mechanisation and the improved printing process meant decorations could be mass-produced and advertised to eager buyers. The first advertisements for tree ornaments appeared in 1853. Victorians would often combine their sparkly bought decorations with candles and homemade edible treats, tied to the branches with ribbon. Today, candles on the Christmas tree have been replaced by fairy lights, printed cards may be substituted with e-cards and we’re more likely to find plastic knick-knacks in our crackers than jewellery. Our Christmas customs continue to be shaped by technological advancements and modern changes in society. How many of us do our Christmas shopping online, or Skype our families across the world on Christmas Day? But these new traditions are still rooted in the spirit of the Victorian Christmas – an integral part of the Christmas we celebrate today. Invented by Tom Smith, a London sweet maker in 1846. The original idea was to wrap his sweets in a twist of fancy coloured paper, but this developed and sold much better when he added love notes (motto’s), paper hats, small toys and made them go off BANG! One of the most significant seasonal traditions to emerge from the Victorian era is the Christmas card. It was Sir Henry Cole, the first director of the V&A, who introduced the idea of the Christmas card in 1843. Cole commissioned the artist J.C. Horsley to design a festive scene for his seasonal greeting cards and had 1000 printed – those he didn’t use himself were sold to the public. Later in the century, improvements to the chromolithographic printing process made buying and sending Christmas cards affordable for everyone. Author norfolktalesmythsPosted on December 19, 2018 Categories 19th Century, Christmas, Literature, Stories, VictorianTags Christmas Cards, Christmas Carol, Christmas Crackers, Christmas Trees, Dickens, Father Christmas, Santa ClausLeave a comment on Christmas: Victorian Style! It was often assumed that during the Georgian period (1714-1830) Christmas was not celebrated with as much gusto as during the Victorian era. Although traditions, foods and celebrations differed, Christmas was, in fact, actively celebrated by the Georgians. We know that Christmas was banned by the Puritans in 1644, Christmas completely abolished and shops and markets kept open during the 25th of December. People were expected to continue going about their normal business and not partake in holiday celebrations or face fines and imprisonment. Puritans disliked Christmas because of its heathen origins and because of its association with extravagance and excess. This gave rise to the belief that Christmas fun and frivolity was not rekindled until the Victorian period. This was not stictly true for with the restoration of Charles II, Christmas was, in fact, re-instated – albeit in a more subdued manner. By the Georgian period (1714 to 1830), it was once again a very popular celebration. When searching for information on a Georgian or Regency (late Georgian) Christmas, who better to consult than Jane Austen? In her novel, ‘Mansfield Park’, Sir Thomas gives a ball for Fanny and William. In ‘Pride and Prejudice’, the Bennets play host to relatives. In ‘Sense and Sensibility’, John Willoughby dances the night away, from eight o’clock until four in the morning. In ‘Emma’, the Westons give a party. And so it would appear that a Georgian Christmas was very much all about parties, balls and family get-togethers. The Georgian Christmas season ran from December 6th (St. Nicholas Day) to January 6th (Twelfth Night). On St. Nicholas Day, it was traditional for friends to exchange presents; this marked the beginning of the Christmas season. Bringing in the Pudding. Photo: Jane Austen World. 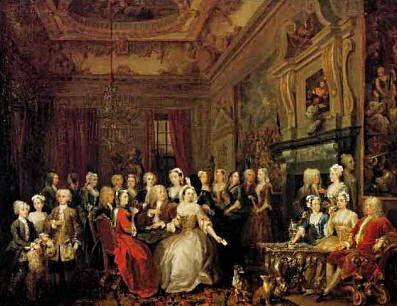 Christmas Day was a national holiday, spent by the gentry in their country houses and estates. People went to church and returned to a celebratory Christmas dinner. But what of the food? Well, agriculture had come a long way since the Tudors, and so it was more likely than ever that every house could afford some kind of bird for the table. For the wealthy, venison was still the order of the day and a real indicator of status to show off to those invited to dinner. Another departure from Tudor tradition was mince pies which, under the Tudors, contained real mutton to honour the shepherds. During the Georgian era the mince pie recipe would include spices, dried fruit and suet, essentially a mixture we’d recognise today. Food indeed played a very important part in a Georgian Christmas. Guests and parties meant that a tremendous amount of food had to be prepared, and dishes that could be prepared ahead of time and served cold were popular. The tradition of a Christmas tree in the house was a German custom and apparently brought to Court in 1800 by Queen Charlotte, wife of George III. However it was not until the Victorian era that the British people adopted the tradition, after the Illustrated London News printed an engraving of Queen Victoria, Prince Albert and their family around their Christmas tree in 1848. A wassail bowl is passed around the table. Photo: Findmypast. The day after Christmas, St Stephen’s Day, was the day when people gave to charity and the gentry presented their servants and staff with their ‘Christmas Boxes’. This is why today St Stephen’s Day is called ‘Boxing Day’. Then there was the popular drink at assemblies of the Wassail bowl. This was similar to punch or mulled wine, prepared from spiced and sweetened wine or brandy, and served in a large bowl garnished with apples. Detail from Hogarth’s ‘A Midnight Modern Conversation’, c.1730. A forerunner of today’s Christmas cake, the ‘Twelfth Cake’ was the centrepiece of the party and a slice was given to all members of the household. Traditionally, it contained both a dried bean and a dried pea. The man whose slice contained the bean was elected king for the night; the woman who found a pea elected queen. By Georgian times the pea and bean had disappeared from the cake. Author norfolktalesmythsPosted on December 16, 2018 Categories 18th Century, 19th Century, Christmas, Georgian, Georgian Period, Historic Tale, StoriesLeave a comment on Christmas: Georgian Style! Some 500 years ago, Christmas was the time where communities outside of politics came together to celebrate; in the Tudor court, greater emphasis was placed on what we call today – networking! Generally however, it was a time to be with the family, visit neighbours and entertain your tenants or social equals. It was also a time for fasting and on Christmas Eve you were not permitted to eat meat, cheese or eggs. On Christmas day, after three masses were said, the genealogy of Christ was sung and all present would hold lighted tapers before departing for home and enjoying “their first unrestricted meal since Advent Sunday, which was four weeks earlier”. It was also a time for rest when all work on the land stopped, with the only exception being to look after the animals. Spinning, the prime occupation for women at the time, was banned and ceremonial flowers were placed on the wheels to prevent their use. All Work recommenced on Plough Monday, the first Monday after Twelfth Night. However, the root of this particular midwinter ritual go back long before the birth of Christ for midwinter had always been a time for merry making by the masses. We have to go back to the shortest day, which falls on 21st December. After this date the days lengthened and the return of spring, the season of life, was eagerly anticipated. It was therefore a time to celebrate both the end of the autumn sowing and the fact that the ‘life giving’ sun had not deserted them. Bonfires were lit to help strengthen the ‘Unconquered Sun’. For Christians the world over this period celebrates the story of the birth of Jesus, in a manger, in Bethlehem. The scriptures however make no mention as to the time of year yet alone the actual date of the nativity. Even our current calendar which supposedly calculates the years from the birth of Christ, was drawn up in the sixth century by Dionysius, an ‘innumerate’ Italian monk to correspond with a Roman Festival. Until the 4th century Christmas could be celebrated throughout Europe anywhere between early January through to late September. It was Pope Julius I who happened upon the bright idea of adopting 25th December as the actual date of the Nativity. The choice appears both logical and shrewd – blurring religion with existing feast days and celebrations. Any merrymaking could now be attributed to the birth of Christ rather than any ancient pagan ritual. One such blurring may involve the Feast of Fools, presided over by the Lord of Misrule. 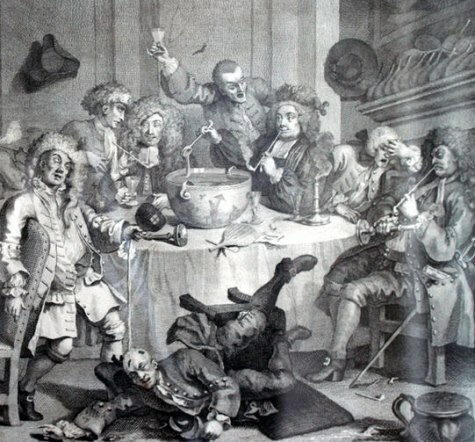 The feast was an unruly event, involving much drinking, revelry and role reversal. The Lord of Misrule, normally a commoner with a reputation of knowing how to enjoy himself, was selected to direct the entertainment. The festival is thought to have originated from the benevolent Roman masters who allowed their servants to be the boss for a while. The Church entered the act by allowing a choirboy, elected by his peers, to be a Bishop during the period starting with St Nicholas Day (6th December) until Holy Innocents Day (28th December). Within the period the chosen boy, symbolising the lowliest authority, would dress in full Bishop’s regalia and conduct the Church services. Many of the great cathedrals adopted this custom including York, Winchester, Salisbury Canterbury and Westminster. Henry VIII abolished Boy Bishops, however a few churches, including Hereford and Salisbury Cathedrals, continue the practice today. The burning of the Yule Log is thought to derive from the midwinter ritual of the early Viking invaders, who built enormous bonfires to celebrate their festival of light. The word ‘Yule’ has existed in the English language for many centuries as an alternative term for Christmas. Traditionally, a large log would be selected in the forest on Christmas Eve, decorated with ribbons, dragged home and laid upon the hearth. After lighting it was kept burning throughout the twelve days of Christmas. It was considered lucky to keep some of the charred remains to kindle the log of the following year. Whether the word carol comes from the Latin caraula or the French carole, its original meaning is the same – a dance with a song. The dance element appears to have disappeared over the centuries but the song was used to convey stories, normally that of the Nativity. The earliest recorded published collection of carols is in 1521, by Wynken de Worde which includes the Boars Head Carol. Tudor Carol Singing. Photo: Pinterest. (see copyright Notice below). Carols became very popular during Tudor time and were seen as a way of celebrating Christmas and spreading the word of the nativity. Winken de Worde’s ‘Christmasse Carolles’, published in 1521, is the earliest recorded published collection and includes the Boars Head Carol describing the ancient tradition of sacrificing a boar and presenting its head at a yuletide feast; the head being garnished with rosemary and bay before being presented to diners. However, celebrations came to an abrupt end in the seventeenth century when the Puritans banned all festivities including Christmas. Surprisingly carols remained virtually extinct until the Victorians reinstated the concept of an ‘Olde English Christmas’ which included traditional gems such as While Shepherds Watched Their Flocks By Night and The Holly and the Ivy as well as introducing a plethora of new hits – Away in a Manger, O Little Town of Bethlehem – to mention but a few. Twelve Days of Christmas. Wikipedia. The twelve days of Christmas themselves (25th December- 6th January) were all celebrated but not equally. The main three days of celebration being Christmas Day, New Year’s Day and Epiphany or Twelfth Night. Nevertheless, these twelve days would have been a most welcome break for the workers on the land, which in Tudor times would have been the majority of the people. All work, except for looking after the animals, would stop, restarting again on Plough Monday, the first Monday after Twelfth Night. The ‘Twelfths’ had strict rules, one of which banned spinning, the prime occupation for women. Flowers were ceremonially placed upon and around the wheels to prevent their use. During the Twelve Days, people would visit their neighbours sharing and enjoying the traditional ‘minced pye’. The pyes would have included thirteen ingredients, representing Christ and his apostles, typically dried fruits, spices and of course a little chopped mutton – in remembrance of the shepherds. Serious feasting would have been the reserve of royalty and the gentry. Turkey was first introduced into Britain in about 1523 with Henry VIII being one of the first people to eat it as part of the Christmas feast. The popularity of the bird grew quickly, and soon, each year, large flocks of turkeys could be seen walking to London from Norfolk, Suffolk and Cambridgeshire on foot; a journey which they may have started as early as August. Tudor Christmas Pie. Photo: tudortalkand catwalk. A Tudor Christmas Pie was indeed a sight to behold but not one to be enjoyed by a vegetarian. The contents of this dish consisted of a Turkey stuffed with a goose stuffed with a chicken stuffed with a partridge stuffed with a pigeon. All of this was put in a pastry case, called a coffin and was served surrounded by jointed hare, small game birds and wild fowl. This popular Christmas tradition was practiced throughout all levels of society and derives from the Anglo-Saxon ‘Waes-hael’, meaning ‘be whole’ or ‘be of good health’. Essentially it involved a wassail bowl and a communal drink. Although most of the descriptions of how wassail was performed date from post Tudor times, there is one surviving description from the reign of Henry VII. It paints a very formal picture; the steward and treasurer were present with their staves of office and then the steward enters with the wassail bowl, calling out “wassell, wassell, wassell” and the court responds with a song. The bowl was a large wooden container holding as much as a gallon of punch made of hot-ale, sugar, spices and apples with a crust of bread at the bottom. The most important person in the household would take a drink and then pass it on. The crust of bread at the bottom of the wassail bowl was reserved for the most important person in the room, the origin of a modern day ‘toast’ when celebrating. Some believe that most wassails of the time were probably more fun and less grand. Today, communal drinking may sound alien, but it was very common in Tudor times. Author norfolktalesmythsPosted on December 15, 2018 Categories 16th Century, Art/Literature, Christmas, Folklore, Historic Tale, Stories, Tudor3 Comments on Christmas: Tudor Style! Whilst the term “Christmas” first became part of the English language in the 11th century as an amalgamation of the Old English expression “Christes Maesse”, meaning “Festival of Christ”, the influences for this winter celebration pre-date this time significantly. Winter festivals have been a popular fixture of many cultures throughout the centuries. A celebration in expectation of better weather and longer days as spring approached, coupled with more time to actually celebrate and take stock of the year because there was less agricultural work to be completed in the winter months, has made this time of year a popular party season for centuries. 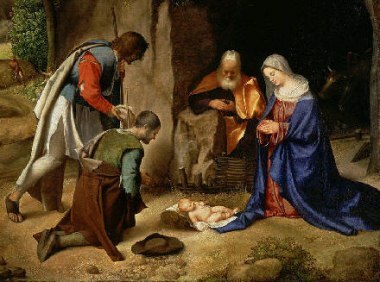 Whilst mostly synonymous with Christians as the holiday commemorating the birth of Jesus (the central figure of Christianity), celebrating on the 25th December was a tradition that was borrowed, rather than invented, by the Christian faith and is still celebrated by Christians and non-Christians alike today. Indeed the Roman celebration of Saturnalia, in honour of Saturn the Harvest God, and the Scandinavian festival of Yule and other Pagan festivals centred on the Winter Solstice were celebrated on or around this date. As Northern Europe was the last part of the continent to embrace Christianity, the pagan traditions of old had a big influence on the Christian Christmas celebrations. The official date of the birth of Christ is notably absent from the Bible and has always been hotly contested. Following the instigation of Christianity as the official religion of the Roman Empire in the latter part of the 4th century, it was Pope Julius I who eventually settled on 25 December. Whilst this would tie in with the suggestions of the 3rd century historian Sextus Julius Africanus that Jesus was conceived on the spring equinox of 25 March, the choice has also been seen as an effort to ‘Christianise’ the pagan winter festivals that also fell on this date. Early Christian writers suggested that the date of the solstice was chosen for the Christmas celebrations because this is the day that the sun reversed the direction of its cycle from south to north, connecting the birth of Jesus to the ‘rebirth’ of the sun. In the Early Middle Ages, Christmas was not as popular as Epiphany on 6 January, the celebration of the visit from the three kings or wise men, the Magi, to the baby Jesus bearing gifts of gold, frankincense and myrrh. Indeed, Christmas was not originally seen as a time for fun and frolics but an opportunity for quiet prayer and reflection during a special mass. But by the High Middle Ages (1000-1300) Christmas had become the most prominent religious celebration in Europe, signalling the beginning of Christmastide, or the Twelve Days of Christmas as they are more commonly known today. The medieval calendar became dominated by Christmas events starting forty days prior to Christmas Day, the period we now know as Advent (from the Latin word adventus meaning “coming”) but which was originally know as the “forty days of St. Martin” because it began on 11 November, the feast day of St Martin of Tours. Although gift giving at Christmas was temporarily banned by the Catholic Church in the Middle Ages due to its suspected pagan origins, it was soon popular again as the festive season in the Middle Ages became a time of excess dominated by a great feast, gifts for rich and poor and general indulgence in eating, drinking, dancing and singing. Many monarchs chose this merry day for their coronation. This included William the Conqueror, whose coronation on Christmas Day in 1066 incited so much cheering and merriment inside Westminster Abbey that the guards stationed outside believed the King was under attack and rushed to assist him, culminating in a riot that saw many killed and houses destroyed by fire. Christmas or Xmas? Although many people frown upon the seemingly modern abbreviation of Xmas, X stands for the Greek letter chi, which was the early abbreviation for Christ or the Greek ‘Khristos’. The X also symbolises the cross on which Christ was crucified. Mince Pies were originally baked in rectangular cases to represent the infant Jesus’ crib and the addition of cinnamon, cloves and nutmeg was meant to symbolise the gifts bestowed by the three wise men. Similarly to the more modern mince pies we see today, these pies were not very large and it was widely believed to be lucky to eat one mince pie on each of the twelve days of Christmas. However, as the name suggests, mince pies were originally made of a variety of shredded meat along with spices and fruit. It was only as recently as the Victorian era that the recipe was amended to include only spices and fruit. Carol singers. Some of us enjoy the sound of carollers on our doorsteps but the tradition for carol singers going door to door is actually a result of carols being banned in churches in medieval times. Many carollers took the word carol literally (to sing and dance in a circle) which meant that the more serious Christmas masses were being ruined and so the Church decided to send the carol singers outside. Anyone for humble pie? While the most popular choice for Christmas dinner today is undoubtedly turkey, the bird was not introduced to Europe until after the discovery of the Americas, its natural home, in the 15th century. In medieval times goose was the most common option. Venison was also a popular alternative in medieval Christmas celebrations, although the poor were not allowed to eat the best cuts of meat. However, the Christmas spirit might entice a Lord to donate the unwanted parts of the family’s Christmas deer, the offal, which was known as the ‘umbles’. To make the meat go further it was often mixed with other ingredients to make a pie, in this case the poor would be eating ‘umble pie’, an expression we now use today to describe someone who has fallen from their pedestal to a more modest level. Boxing Day has traditionally been seen as the reversal of fortunes, where the rich provide gifts for the poor. In medieval times, the gift was generally money and it was provided in a hollow clay pot with a slit in the top which had to be smashed for the money to be taken out. These small clay pots were nicknamed “piggies” and thus became the first version of the piggy banks we use today. Unfortunately Christmas Day was also traditionally a “quarter day”, one of the four days in the financial year on which payments such as ground rents were due, meaning many poor tenants had to pay their rent on Christmas Day! Whilst the excitement and frivolities of Christmas make it easy to forget the more serious aspects of the festival, it can also be argued that the tradition started by the wise men with their gifts of gold, frankincense and myrrh continues today, although with perhaps slightly less exotic gifts! Author norfolktalesmythsPosted on December 9, 2018 Categories Folklore, Historic Tale, medieval, Medieval/Middle Ages, StoriesLeave a comment on Christmas: Medieval Style! Christmas is a strange time of the year, when people merrily do all sorts of bizarre things. Try explaining to a judge in June that you were allowed to kiss somebody without warning because there was a parasitic shrub hanging from the ceiling, and call me when you’re on the register. But, just as often, people confidently claim that they know exactly why they are doing them. How many times have you heard somebody say: “You know it’s all pagan, of course?”, as though the barely recorded history of pagan activities in north-west Europe was something they happen to be terribly familiar with. Trees? Trees are pagan, don’t you know? No. Trees are just there. They’re trees and there’s nothing pagan about them. The truth is, we usually have no idea of the origin of these curious traditions. So here, as a public service, are 10 myths of Christmas. This is one you always hear at dinner parties. It makes the speaker sound rather clever and cynical. Except it’s tosh. Coca-Cola did start using Santa in advertising in 1933. But Santa had been portrayed almost exclusively in red from the early 19th century and most of his modern image was put together by cartoonist Thomas Nast in the 1870s. Even if you were to confine your search to Santa in American soft drinks adverts, you would find a thoroughly modern Santa Claus in the posters for White Rock that came out in 1923. And we – we got upshot. No, it doesn’t. Matthew 2:1 tells us that “when Jesus was born in Bethlehem of Judaea in the days of Herod the king, behold, there came wise men from the east to Jerusalem”. Did you notice the word “three”? Nor did I. They brought gifts with them: “they presented unto him gifts; gold, and frankincense and myrrh”; yet the Bible never says how many magi there were, only that they were plural. There could have been two or 200. Magi, by the way, were Zoroastrians. There were believed to be well-versed in mysterious arts, hence our modern word “magic”. Saturnalia was originally held on 17 December. Later it was expanded until it lasted all the way up to 23 December. But it never shared a date with Christmas. There was a Roman festival on 25 December, the festival of Sol Invictus. But there were Roman festivals on most days of the year (more than 200 of them) and Sol Invictus is not recorded before Christmas and neither it nor Saturnalia have much in common with it. That name is only three words long and there are two problems with it. Though Wenceslas existed, he wasn’t a king and he wasn’t called Wenceslas. His name was Vaclav and he was duke, not king, of Bohemia (in the modern-day Czech Republic) in the 10th century. He may have been good. However, it’s equally likely that people looked back on him with rose-tinted glasses after he was succeeded by his brother, Boleslaus the Cruel. Boleslaus really earned his name, not least by killing Vaclav to take the throne. Soon, legends of Vaclav’s goodness had grown so popular that he was posthumously declared king by Otto the Great. The story goes that after the Norse god Baldr was killed by an arrow made of mistletoe, his mother, the unfortunately named goddess Frigg, swore that the plant should never harm anybody else and that instead it should encourage kissing. This, though, isn’t found anywhere in Norse mythology. Well, the mistletoe arrow is, but Frigg’s response has nothing to do with kissing and everything to do with torturing Baldr’s killer for all eternity. Mistletoe is an English tradition. 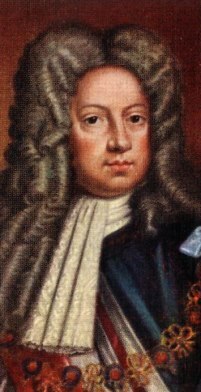 It seems to have been little-known in 1719, when Sir John Colebatch wrote a whole book on the plant and the customs associated with it. But it was well-known enough in 1786 to appear in a popular song from the now-forgotten musical Two to One. There’s nothing in the Bible about the date of Jesus’s birth, but the earliest calculation, made in the second century, reckoned it was in March. So we’re nine months late on the whole. Advent begins on the nearest Sunday to St Andrew’s Day on the 30 November. So, this year, Advent began on 2 December. The idea that it starts on the same day every year was put about by the manufacturers of Advent calendars, so that they could use the same design each year and sell off old stock. Advent Calendar. Photo: Doing History in Public. This one would have surprised Queen Victoria, who had a Christmas tree as a child. So did the sizeable German immigrant population in Manchester in the early 19th century. Victoria and Albert popularised the Christmas tree when they were pictured with one in the Illustrated London News in 1848. There was also one Christmas tree recorded in England in 1444, but nobody knows what it was doing there. Mark Forsyth is the author of ‘A Christmas Cornucopia’ and ‘The Curious Origins of Our Yuletide Traditions’, published by Viking Penguin. Author norfolktalesmythsPosted on December 8, 2018 Categories Art/Literature, Christmas, Folklore, Literature, Myths, Stories, VictorianTags Carols, Christmas, King Wenceslas, Mistletoe, Santa Claus, Three Wise Men5 Comments on Debunking 10 Christmas Myths! The lawless proceedings that the authorities referred to broke out on the morning of the 27th of November 1830 at Lyng Mill, a few miles north of Norwich. Unrest amongst workers had been festering for some time and came to head when a group of some 200 rioters gathered there. Because the mill owners had received notice of pending trouble, but not its size, only a certain Richard Tolladay had been taken on at the mill to provide extra security. It was somewhat inevitable that being alone Tolladay would fail to protect the paper-making machinery from being destroyed once the mob had decided to break into the Lyng Mill. No sooner had they completed their task, they proceeded towards their second objective, the paper-mill at Taverham, which they reached in the afternoon. Their intention this time was to destroy the highly productive ‘Fourdrinier’ paper-making machine. In the 1820s the principal paper maker at Taverham mill, John Burgess, was making a considerable amount of money from this revolutionary and highly productive machine. He was one of the few men in the country who knew how to use it to supply not only the local Norwich printers but also customers as far afield as Cambridge University Press. The paper mill was certainly doing well and so was Burgess who went on to buy property and cottages in Norwich and Costessey. He not only bought the White Hart in 1819, but by 1830 he had rebuilt it. The White Hart Public House (left). Photo: see Notice below. The ‘machine-breakers’ visit to Taverham was, again, not entirely unexpected. Some precautions had been taken by extra manpower being employed to guard the premises and machinery against attack. Doors were, of course, locked but this was totally ineffective against some 200 rioters who were mostly armed with hatchets and pick-axes. None of the workers at the Mill was hurt or even threatened, but the ‘Fourdrinier’ was put out of production when its breast-board was broken with an axe. Such a piece of the equipment supported the canvas apron along which the pulp was carried on to the wire belt at the beginning of the paper-making process. Painting of Taverham Mill in 1839 by Alfred Priest. Photo: Norfolk Mills. It should be said that these rioters had been inspired by the ‘Swing’ riots that had started in Kent but very soon spread through several counties, particularly in southern England. Farm life was far from easy in the 19th Century, but it really began to deteriorate from the end of the Napoleonic War in 1815. From then, machinery was gradually introduced into farming and factories, and this meant that less workers were needed and this, in turn, led to unemployment and increased poverty. At that time, Labourers did not have the vote or any way of protesting lawfully. Frustrations grew. The final straw came with the introduction of the threshing machine (used to separate grain from stalks and husks) which labourers knew would deprive them of their winter work. In August 1830 farm workers set fire to a threshing machine, in Kent, in a desperate bid to highlight their plight and need for fairer wages. This was the first reported incident of the Swing Riots – the aim was to destroy machines. Taverham Mill in 1910. Photo: Norfolk Mills. The name “Swing Riots” had been derived from ‘Captain Swing’, the fictitious name often signed on threatening letters which were sent to farmers, magistrates, parsons and others. ‘Swing’ was regarded as the mythical figurehead of the movement; apparently, the word was a reference to the swinging stick of the flail used in hand threshing. The Swing letters were first mentioned by The Times newspaper on 21 October 1830. In Norfolk, many agricultural and factory labourers caught the mood that had spread from the south and formed themselves into their form of ‘machine-breakers’, the sort who assembled at Lyng and Taverham. They too were involved in the destruction of threshing machines, and in this they had targeted Taverham’s Squire Micklethwait and farmer Joby at Weston Longville. Richard Tolladay of Lyng Mill, anxious to make amends for his failure that morning, followed the rioters at a safe distance and concealed himself amongst some trees and bushes. From the shadows he recognised who he thought was the ring leader from that morning – Robert West and duely seized him with the help of a handful of accomplices. It was a move that was impulsive and with little regard to the fact that Tolladay’s group were badly outnumbered. Before West could be spirited away, he managed to wrestle free and escape, much to the delight of the rioters, whose cry of “There goes old Bob” was clear and unmistakable. Although he might well have congratulated himself on making what had been a lucky escape, West was to be at large long enough to miss the January 1831 Quarter Sessions in Norwich where he would have been more leniently treated. As it was at the time, when the riots were taking place, an urgent message had already been sent to Norwich requesting help from the military. In response, a detachment of the 1st Dragoon Guards was dispatched to Taverham. It was almost dark by the time they arrived, and the rioters had already moved on – with the exception of one man, named Richard Dawson. He was found and arrested on the Fakenham Road; the rest of the rioters had made their way back towards the Lyng area where, probably thinking they were safe, lit a fire; however, unbeknown to them, they were being watched! One must mention that, apart from the County’s landed gentry and business owners, there was a great amount of sympathy for the rioters from among the poor and working-class people of Norfolk. It was only a few days before the riot at Taverham when the Justices of North Walsham put out proclamations begging employers to accede to the machine-breakers’ demands. Much to the annoyance of the Government, particularly the Home Secretary Lord Melbourne, this sympathy extended to the jurors at the subsequent trials of the rioters. The only person to be charged with offences connected with the event in Taverham was the lone Richard Dawson, the young man arrested on the Fakenham road. As it turned out, he could not be implicated in the attack on the Mills, but was charged with destroying Squire Micklethwait’s threshing machine in Taverham Hall’s bullock yard. The only witness against Dawson was one of the Squire’s employees, a Mr. D. Rose! The Shire Hall was built in 1822. Here, both Richard Dawson and Robert West were tried for their part in the County’s ‘Swing’ riots of 1830. Photo: unknown copyright owner – see Notice below. It followed that, at the January 1831 Assizes, the jury acquitted Dawson on the grounds that there was only one witness; this, apparently, caused the Chairman to rather forcible informed them that ‘one witness was as good as a hundred’ – and directed the jury to reconsider their verdict. Such was the sympathy towards the rioters that, despite this official direction which came to almost an order for the jurors to convict, they returned a ‘Not Guilty’ verdict to what was said to be ‘great applause from the public gallery’. From this, the Home Office concluded that local people could not be trusted to take a firm line; they also were well aware that they could do nothing about those already acquitted or those who had received light sentences. Unlike today, there was no process of appeal against a ‘not guilty’ verdict and there was no such thing as double jeopardy. Illustration of typical early 19th century convict transportation ships. Photo: State Library of South Australia (B7177) and National Maritime Museum, Greenwich, UK (9402). Robert West found himself on board the Portland, along with 177 other convicts from throughout England, parts of Scotland, Jamaica and Gibraltar. Their crimes included various forms of stealing, house robbery, forgery, passing base coin, embezzlement, poaching, picking pockets etc…. There were few if any violent criminals amongst them. Most of the ‘Swing’ rioters sentenced to exile in New South Wales had been transported on the Eleanor in 1831, however at least three prisoners on the Portland had also been involved in Swing Riots……Robert West was one of them. Prior to the 178 prisoners embarking at Spithead on 14 November 1831, they had been held in the prison hulks ‘Captivity’, ‘Leviathan’ and ‘York’ where the men had worked in the Dock-yard from seven o’clock until, twelve, in the mornings, and from a quarter past one o’clock until half past five, in the afternoons. Most of these prisoners were young men in a good state of health with the exception of a few who suffered chronic leg ulcers. The Portland’s prison guards consisted of two non-commissioned Officers, 27 Privates of the 4th and 39th regiments who were commanded by Lieutenant Archer of the 16th regiment. He travelled as a cabin passenger whilst two women and four children travelled in steerage. An Illustration of Spithead in the early 19th century. Photo: National Maritime Museum. “the Portland did not depart Spithead until 27 November 1832; after when, the winds and weather were variable. Catarrh appeared as an epidemic during these days and continued to recur during the whole of the voyage, almost all on board having been affected with it more or less, but in the greater number of instances so slight as not to require confinement or medical treatment. The prisoners were also much affected with costiveness induced by sea sickness and change of diet but the general state of health on board during the voyage was good. The leg ulcers they had suffered with on arrival on the Portland speedily recovered under the surgeon’s treatment of adhesive straps and a change of air and better diet”. During the voyage the convicts were admitted on deck daily as much as the state of weather and other circumstances permitted, one half taking their meals on deck alternatively. Attention was paid to cleanliness and the between decks kept as dry as possible. The Portland was off the coast of Brazil on 14th January 1832 and no heavy rain was reported until the Portland was off the coast of Australia when they also experienced strong westerly winds. The temperature occasionally reached 89° in the prison at nights while passing through the tropics. The Portland arrived in Port Jackson on 26th March 1832 and a Muster was held on board by the Colonial Secretary on 29th March. There had been no deaths during the voyage and the 178 male convicts were landed at Sydney on 6th April 1832. All except one, William Toll who had suffered scurvy, were fit for immediate employment. The Mellish entering the harbour of Sydney (1830?) by W.J. Huggins and engraved by E. Duncan. Photo: State Library of South Australia. Tocal (meaning ‘plenty’ in the local Aboriginal language) is located in the lower Hunter Valley, of New South Wales, Australia, approximately 7 miles north of Maitland and about 110 miles north of Sydney at the junction of the Paterson River and Webbers Creek. It was there that Robert West was set to work on a farm until failing health caused him to be removed to Port Macquarie. He died in 1837 and today, his name is recorded on a memorial in the town which also has a reference to Lyng in Norfolk. By a strange coincidence one of the partners who operated Taverham mill after the riots also ended up in New South Wales. It would appear that the experience of Norfolk’s version of the Swing Riots had discouraged the then Mill’s owner, Robert Hawkes; and despite the fact that his company was compensated for the damage he still decided to sell his share of the business and retire. The new partners with whom John Burgess found himself saddled with were two young men from wealthy local families, Henry Robberds and Starling Day. Unlike Robert Hawkes, they seemed not to have many business interests and they may have tried to ‘meddle’ at the Mill. This would not have pleased Burgess who was used to having a free hand to run the business and, whatever was ‘the straw that broke the camel’s back’, Burgess left the partnership in 1832 to take the lease on the vacant paper mill in Bungay. It was certainly a come-down in professional terms, since the Bungay mill was engaged in making brown wrapping paper by hand, instead of the machine-made white printing paper in which he was so experienced. However, on the credit side, he was at last his own boss again, and he continued to make money. But back at Taverham Mill things went from bad to worse. Firstly, Henry Robberds and Starling Day had lost John Burgess, the one partner who was an experienced paper-maker and instrumental in making a lot of money for the company. Then in 1839 two employees were killed when part of the mill collapsed and by 1842 both Henry Robberds and Starling Day were declared bankrupt. It was Robberds who emigrated from Liverpool with his family and no sooner was he settled in Sydney when, it was said, he became very involved in raising money for the construction of the new St James Cathedral there. A scan of the present-day directories seems to show that the Robberds name is still prominent in the life of Sydney. A panoramic view of Sydney later on in the 19th century.